How Do I Use My Mother's Durable Power of Attorney? Home / Durable Powers of Attorney / How Do I Use My Mother’s Durable Power of Attorney? My mother granted me her durable power of attorney six months ago and she now has rapidly advancing dementia but I am not sure how to use it. You need to take the original durable power of attorney to the banks and other financial institutions where your mother has accounts and ask to be added to them. You will be asked to sign a signature card or other form the institution uses and will be added to the accounts. After that, you will be able to sign checks, make deposits and withdrawals, and move your mother’s investments as you deem appropriate for her. Make sure the financial institutions only take a copy of the durable power of attorney so that you keep the original. Your role as “attorney-in-fact” for your mother is a “fiduciary” role, meaning that you must always act in your mother’s best interest. It is important that you always keep good records of everything you do on her behalf just in case anyone (for instance, your siblings, if any) ask any questions. Sometimes people spending hours taking care of an older parent get “rewarded” by others second guessing their actions. The more transparency you provide, the less likely you’ll suffer any complaints. At what point do elder law attorneys, other attorneys, financial professionals, bank staff, real estate agents, and anyone else that I, as agent, might show the durable power of attorney to–at what point in the progression of the parent’s dementia would these people NOT ask if my demented parent wants me to take this action? This is important because there may be many years during which the demented person can have a polite, mostly rational-sounding conversation, but they can’t absorb any new information, whether verbal or written; can’t add and subtract; can’t imagine the future; and have no awareness of their own disability. Most durable powers of attorney are in effect as soon as they are signed, even if the idea is that they won’t be used until the individual is incapacitated. A few durable powers of attorney don’t take effect until the grantor becomes incapacitated and are known as “springing” powers of attorney. These are generally avoided because they raise the issue of proving incapacity. 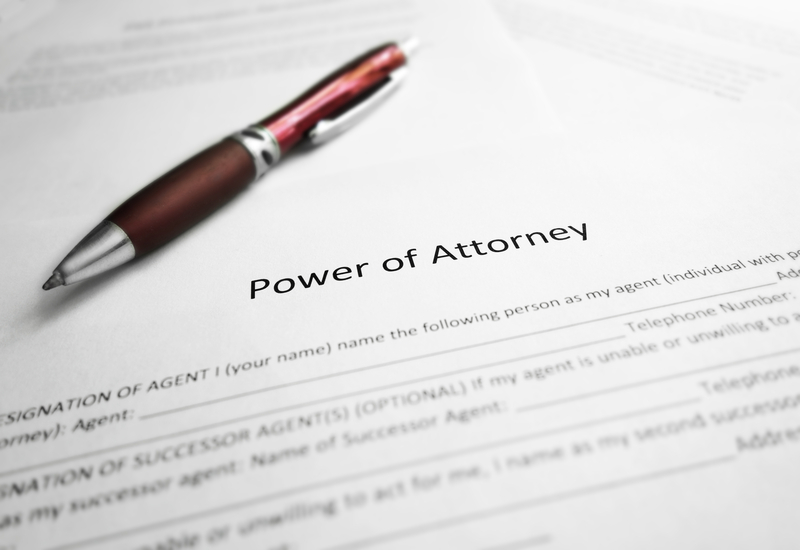 Assuming your mother’s power of attorney is not springing, you can use it any time. However, as you suggest, your mother’s conduct could create issues. If she challenges your actions, that could be viewed as an attempt to revoke the durable power of attorney and you would have to prove her incapacity to the party with which you are dealing. Possible solutions: (1) Go in with your mother to meet with whoever is necessary to make it clear that she approves your assistance. Many financial institutions have their own durable power of attorney forms which your mother could execute, which they would be more likely to accept. (2) Your mother could add your name to accounts as a joint owner, which would give you equal authority with her. The problem with this is that it also means that the accounts pass to you at your mother’s death, which may or may not be what she wants. Also, they could be reachable by your creditors. (3) Move your mother assets into a revocable trust with both of you as co-trustees. Then, as with a joint account, you would have equal authority with her, but without the downsides of joint accounts. (4) Cross your figures and deal with any problems when and if they arise.